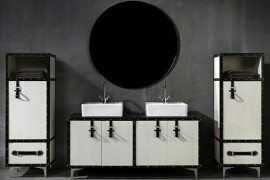 When an internationally renowned architecture and design practice collaborates with a globally respected ceramic and bathroom manufacturer to create a new bathroom range, you can be sure of a striking result. 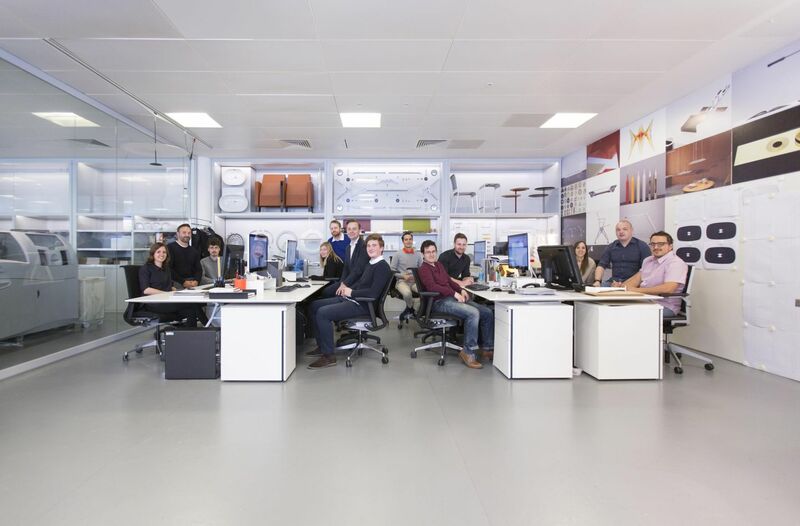 And so, when London-based Foster + Partners joined forces with the Castellón-based Porcelanosa Grupo, a new vision in bathroom design and development was born. Together, Foster + Partners and Porcelanosa created the TONO collection, a truly remarkable, innovative and discerning set of bathroom components. In TONO — a collection made up of TONO Elements and TONO One — we find a clearly expressed design language, integrating minimalism, utility, sustainability and craft. 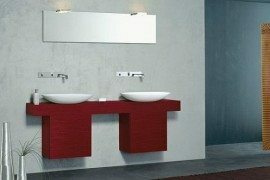 TONO’s designers have produced a bathroom for the 21st century, attaching great importance to water usage and efficiency, as well as intuitive and harmonious design: by concentrating on essential design aspects, all superfluous details were eliminated in order to promote sustainability. For example, the 2.3 litre capacity TONO sink reduces water wastage by providing just the right amount of water. TONO Elements and TONO One are suited to a range of residential and commercial interiors. Where TONO One unifies the component parts of a bathroom in three pre-fabricated units (a shower, sink and WC ), TONO Elements offers considerable choice, flexibility and endless combinations. 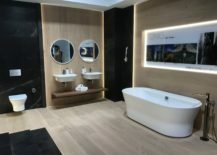 With over one hundred products, ‘Elements’ comprises a range of sinks, baths, WCs, brassware and furniture, available in a variety of materials and finishes. Indeed, Porcelanosa’s palette of materials is extensive and includes marble, ceramic, timber and KRION® Solid Surface. 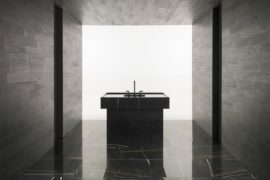 Several Porcelanosa Grupo companies were involved in the making of TONO: Noken — a manufacturer of bathroom equipment; L’Antic Colonial — a specialist in exclusive and natural products (such as terracotta, marble and wood); and Systempool — the developer of KRION®, a next generation solid surface. The TONO collection is undoubtedly thorough in its design, development and execution. 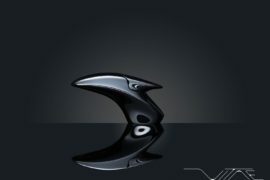 To learn more about TONO, Decoist.com put a number of questions to Mike Holland, Head of Industrial Design at Foster + Partners. What was the inspiration for TONO? 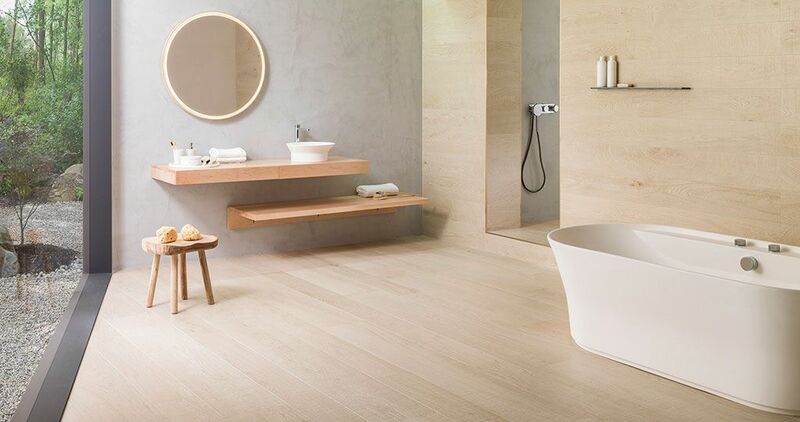 TONO is a comprehensive and coordinated range of bathroom products that can be used in a multitude of settings, from residential to commercial interiors and everything in between. The ambition was to create a library of bathroom elements in a broad palette of materials and finishes that could be used to tailor any space. As a collection, TONO is certainly ambitious. How do you set about designing a project such as this? As with each of our projects, the process starts with asking questions. We wanted to create a bathroom range that explored new ideas related to materiality and craft, while offering more choice to consumers. When envisaging TONO as an end product, did you have a particular consumer in mind? If so, how does this influence the design process? TONO has been designed across a broad price spectrum and to suit a variety of scales — from compact bathrooms to larger spaces. 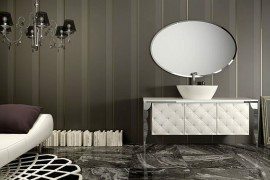 What differentiates TONO from other bathroom collections? Most bathroom ranges have a singular image, but TONO is about choice, allowing for multiple configurations within the same family. The project was a collaborative venture that brought together several companies whose expertise lies in different materials. 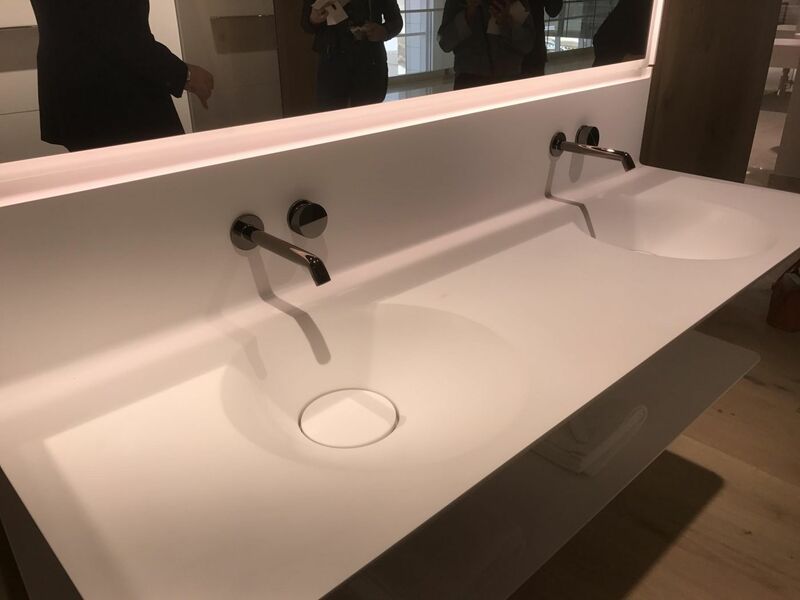 For instance, we worked with Noken to develop ceramics and brassware, L’Antic Colonial on the stone, and Systempool, who are KRION® Solid Surface specialists. As a result, TONO works across a wide range of materials and finishes, offering greater choice to designers and users. From a design perspective, how would you describe TONO? What words best capture its essence? The challenge was to create a set of components that work together as part of an integrated system, with an unlimited choice of finishes and materials. Unified by a common, simple design language and palette of complementary materials and colour tones, the minimalist aesthetic brings to the fore an honesty of material, simplicity of form and the craft of manufacture. 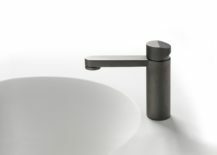 The taps are an especially distinctive feature of the TONO collection. 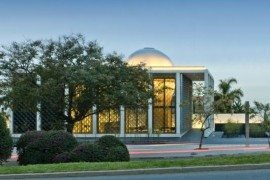 How do you reimagine something that is, essentially, a common, everyday object? Going back to first principles, we pared the taps back to their essence, creating a minimal, quiet object that demonstrates the symbiotic relationship between cast elements and machined components. Each element was designed for its purpose. For instance, the machined lines on the top of the tap communicate its function as a control — one naturally feels like turning it! TONO is divided into two parts: TONO Elements and TONO One. What was the thinking behind this? Both TONO Elements and TONO One offer ultimate flexibility in specification. 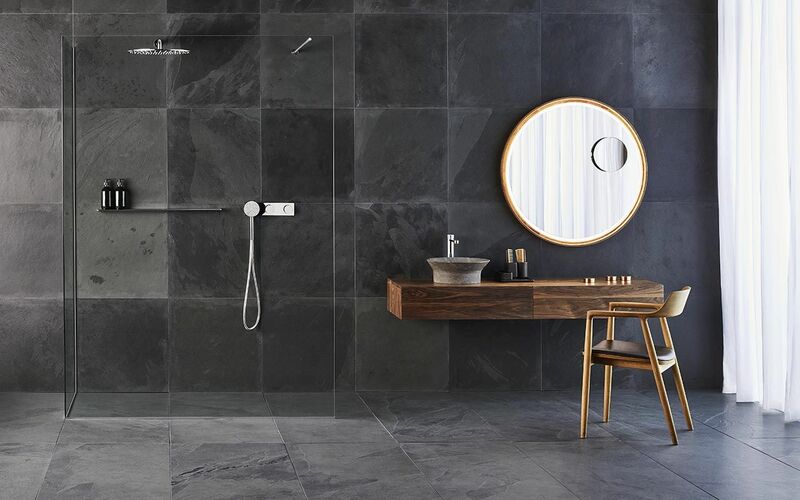 With over 100 different products, the TONO Elements range brings together mirrors, brassware, integrated timber storage units and benches, basins, bidets and baths, in a range of finishes — such as stone, ceramic and KRION® Solid Surface. These elements can be combined infinitely to suit a variety of spaces. 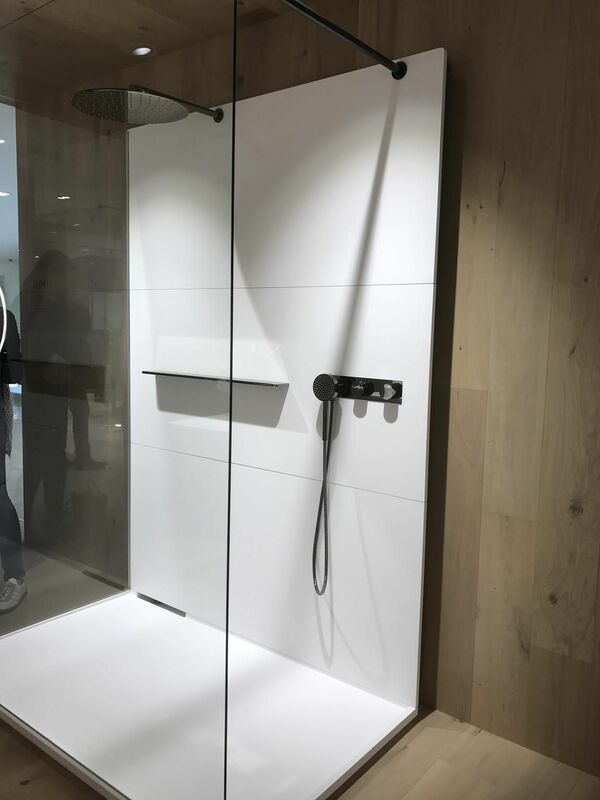 TONO One offers three pre-fabricated units — shower, sink and WC — that allow for ease of installation and a fully integrated system that is flexible enough to fit into a pre-existing building. Foster + Partners and Porcelanosa Grupo are two globally respected and prestigious companies. Collaborating on the development of the TONO collection, how did your varied skill sets complement each other? We often work with manufacturers who have expertise in specific materials or production methods. Porcelanosa is one of the few global organisations with a wide palette of materials that could serve as the basis for the full range. Having worked with Porcelanosa on previous projects, we have always been impressed by their professionalism and commitment to quality. 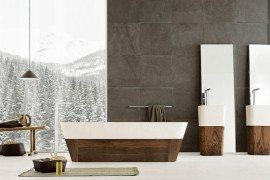 TONO is clearly a handsome, smart and functional bathroom collection. Yet, in a world where water is an increasingly scarce resource, how did you ensure TONO’s various components would minimise waste and act in a sustainable manner? Each fitting has been designed to meet the highest global standards with regards to reducing water consumption. 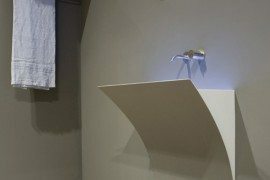 Even the sink has been carefully designed to be small in scale, with a conical bowl that maximises the depth while using the minimum amount of water. Looking across the entire TONO collection, what are you most proud? It would have to be the breadth and depth of the complete collection — it is extremely flexible, yet each element is distinctly identifiable as TONO. It is truly unique.